New Delhi: AIIMS informed the Delhi High Court Friday that reservation under the disability category for the post of the nurse was meant for persons with one leg, and sought dismissal of a plea by an acid attack survivor that she be considered for the job. 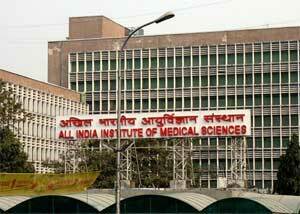 The hospital, in an affidavit filed in the court, sought dismissal of the woman’s plea against a June 13 notification of AIIMS on the recruitment of staff nurses, saying it has acted in due conformity with the rules or notification of the government. It said the central government had issued a notification on July 29, 2013, identifying the post of nursing officer/nurse and categorising it for persons with disability (PWD) with one leg only. “No new guidelines for the identified post has been made by the government under the Right of Persons with Disabilities Act, 2016,” it said. Advocate Govind Jee, appearing for the 30-year-old woman petitioner, argued that ‘acid attack’ has been added as a ‘specified disability’ with effect from April 19, 2017, the date when the Right of Persons with Disabilities Act, 2016 came into effect. “Any decision and notification of the government before the commencement of the 2016 Act would have no bearing so far as facts of this case are concerned as an exercise to exclude such posts for persons suffering from acid attack in terms of provisions of the 2016 Act has never been done,” he said. Justice C Hari Shankar listed the plea for further hearing on September 25 after Govind Jee submitted that there was an urgency in the matter as the recruitment result is scheduled to be declared in September 26. The court, which had earlier directed the Centre and All India Institutes of Medical Sciences (AIIMS) to file response to the petition, today granted a week’s time to the government to submit its affidavit. The woman was earlier allowed by the court to apply for the post of nurse under the general category. The court had said her plea, to be placed under the physically handicapped category, would be decided in the final verdict. The hospital claimed the woman has not challenged the notification of 2013 and no cause has been out in this petition. The woman has challenged the June 13 notification issued by the AIIMS for recruitment of staff nurses in which acid attack victims were not given the quota under the category of persons with disability. The petition has said acid attack is a specified disability under the Rights of Persons with Disabilities Act, 2016, and that she has 57 per cent permanent disability. The plea claimed that the woman was unable to apply for the post of nursing officer as notified by the hospital as the option for persons with a bench-mark disability was one leg category. She sought quashing of the decision of the authorities to exclude the acid attack victims from the disabled category and that they should not be discriminated within public appointments and reservation on such posts. The woman received acid burns in 2004 when she was attacked by a group of men at Shamli in Uttar Pradesh. She was a minor at the time of the incident. She later completed her senior secondary school examination and in 2014 she finished her diploma in general nursing and midwifery from the Jamia Hamdard University. A registered member of the Delhi Nursing Council, she has worked as a staff nurse with various hospitals, the plea said. In her petition, she also claimed that the Department of Empowerment of Persons with Disabilities under the Ministry of Social Justice and Empowerment had last year bestowed upon her the national award in recognition of her outstanding performance as the most efficient employee in the category of multiple disabilities.